When following the instructions on the back of the package, the cake mix seems too watery. How can I improve the recipe? Our product experts have found that adding 8 fluid ounces of water for every 1 pound of cake mix achieves the best results. Please see our Baking Instructions sheet for more information. 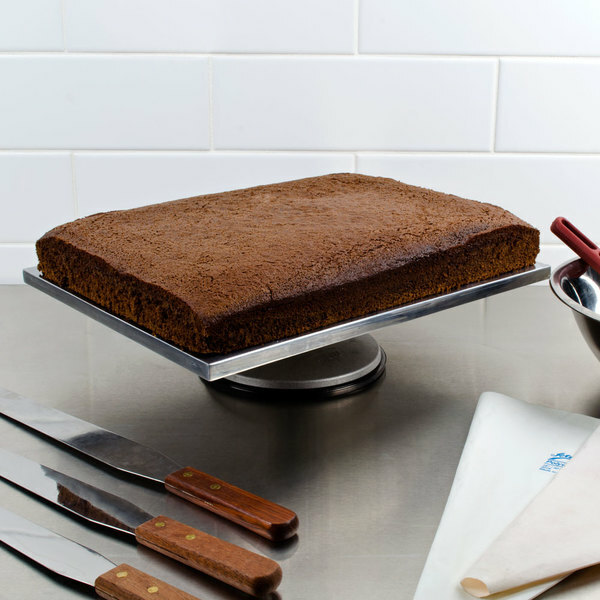 Quickly and easily whip up a dense, succulent devil's food cake and save time baking it from scratch with this 5 lb. cake mix! Providing all the ingredients you need, this mix makes baking easy, while still offering a homemade taste. Just add water, mix, and bake! Invented in the United States in the early 20th century, devil's food cake is the chocolate-flavored counterpart to the light and airy, white angel food cake. It is generally lighter and more succulent than other chocolate cakes, and is closely tied to red velvet cake, without its signature red food coloring. Made with cocoa powder, its robust chocolate flavor suits any chocolate lover's tastes! This mix rises nicely for cupcakes and fluffy sheet cakes with soft, moist texture. Decorate your baked goods with a fruit glaze or rich chocolate frosting, and top with chocolate shavings, decorative icing, chocolate chips, and more. Whichever way this versatile cake mix is prepared and served, you're sure to satisfy everyone's sweet tooth! Just got this last night, and i have to say that it is a very easy to use mixture and tastes wonderful ! My daughter and I did add some extra chocolate to it, but not much, and it was excellent. Not dry, not to dense, and cooked pretty quickly ! We made a bundt cake actually at first, and again it was fantastic ! I would recommend this to anyone ! The Devil's food cake is super rich and makes a great chocolate lovers cupcake. The mix is great and makes light, fluffy cupcakes for our sweets shop. This devil's food cake mix is dry, tasteless and flat. Would not recommend to anyone. Tried adding other ingredients to this mix as well and nothing helped it. The Devil's food cake mix is amazing and has a rich chocolate flavor. 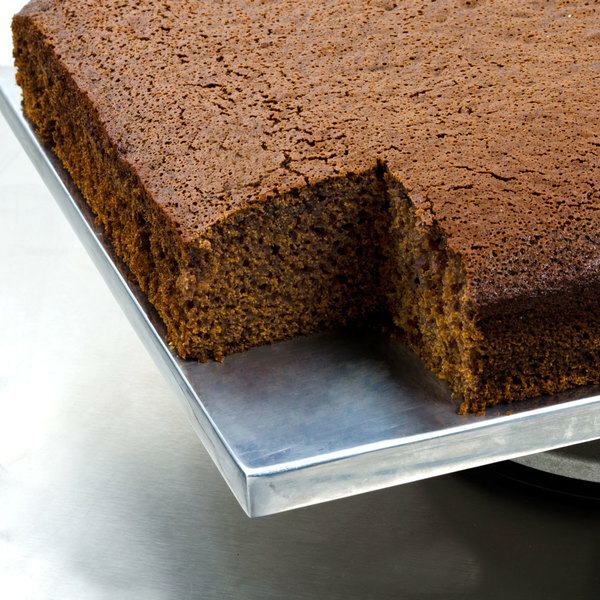 The mix is super easy to whip up and makes for a great layer cake. Love the rich and chocolatey taste of a Devil's food cake and is great to pair with a cream cheese frosting. Great cake mix and super well priced. Devil's food chocolate cake is a favorite among many people. This mix turned out GREAT. I am very glad that we can use this for our bakery. I rely enjoyed using this cake mix it's so easy to use so it makes making a cake in pinch no problem and it taste good too. A very tasty and easy to make mix at a wonderful price. The chocolate devil's food cake is rich and decadent and makes a great chocolate cake. Was not pleased with this mix. It tended to be dry. It cut fine. A little crumbly. We added egg and butter to bring it up to our satisfaction so we could use it in our restaurant. Thank you for your feedback, Darrel! We are sorry you did not prefer this cake mix, please contact our Customer Solutions team for recommendations! Our youth are doing about 15-20 bake sales this year to raise money for various activities and so we wanted to try these cake mixes. We started small, with 5 lbs, to see if we liked the mix. We made 4 cakes to start: one with water (like directions indicated), one with 1/3 c. oil, one with 1/3 c. oil and 2 eggs, and then we made a cheap store brand cake. The store brand lost hands down. The other three cakes from the mix tasted very much the same, but 3 of the youth and one leader both liked the cake with the oil in it the best. We used the oil when we made the cakes and we will continue to purchase mixes like this! Thank you! 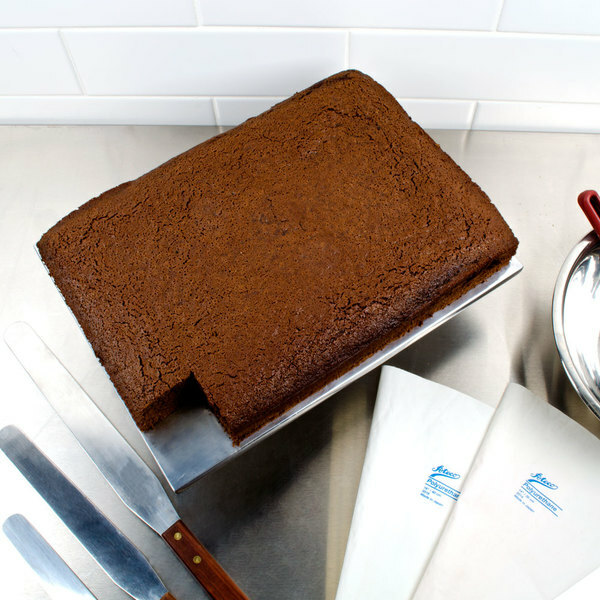 A fabulous tasting devil's food chocolate cake mix that will be the hit on your buffet line. It is so easy to mix up and bakes up beautifully. I absolutely love the devils food cake mix. I use whole milk instead of water. It makes a great product with good crumb and moisture. The only thing I don't like about this mix is that you do have to add to it to make it work - egg, or buttermilk, any sort of leavening product to give it a bit more fluffiness. But it does have a nice cocoa flavor. Cake is moist fluffy, and delicious. I love to use this mix for show cakes. It's quick fast and easy to use. Holds up really well. We use the Devil's Food cake mix as a base to our Red Velvet Cake and Chocolate Peppermint Cake, this base makes both of those cakes incredibly moist and tastefully. These are two most popular flavors we carry.